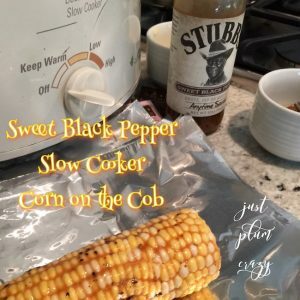 Sweet Black Pepper Slow Cooker Corn on the Cob Recipe! Slow Cooker Corn on the Cob! 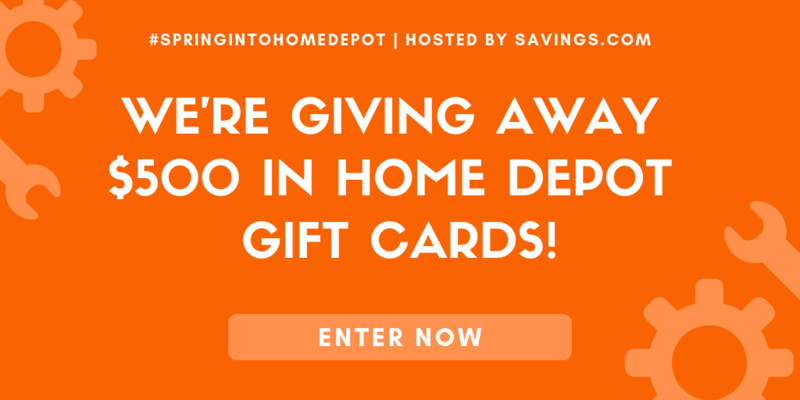 Welcome to day 3 of our 12 Days of BBQ Ideas! Slow Cooker Corn on the Cob anyone? While walking through Costco the other day, they was some really nice looking corn on the cob staring me in the face. 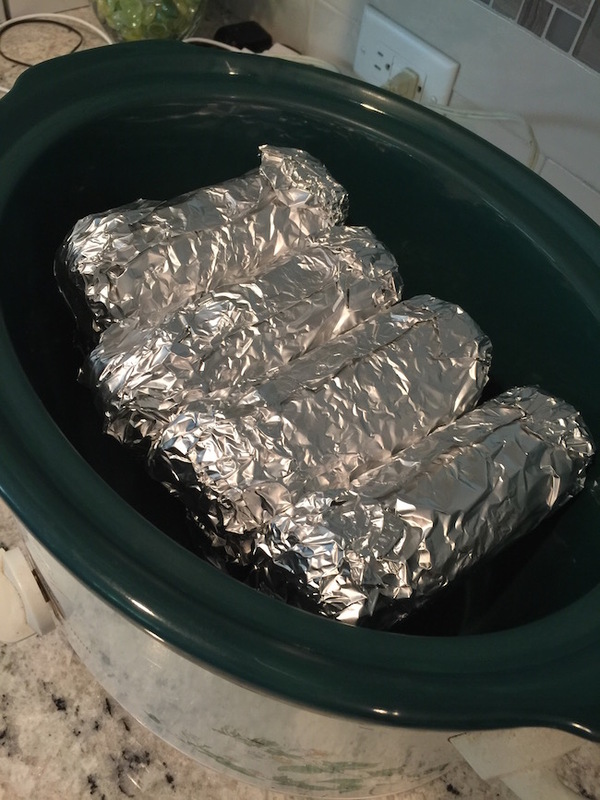 I said…Hmm, Slow Cooker Corn on the Cob! When I first heard of cooking your corn on the cob in the slow cooker, I thought to myself…why? It only takes a few minutes once your water is boiling to be done. I even had a few snarky comments when I asked friends if they ever did it that way. But, I’m kind of a rebel and like to do things my way! So, I figured what’s the worst that could happen…I would waste some corn and seasonings if they didn’t come out the way I expected them to. 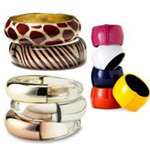 Let’s face it, Memorial Day is coming up and that means picnics, get togethers and spending quality time with family. Rather than slaving over a hot stove all day while making side dishes and other things, the slow cooker corn is really the perfect way to save time, spend time with family and not heat up the house! I came up with the idea after seeing a few different ways to do it on Pinterest (I really, really need to stay off Pinterest!) 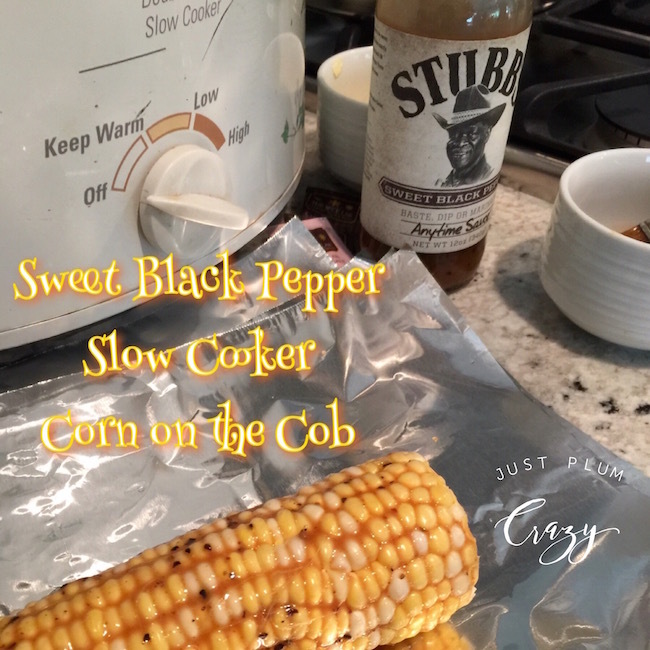 I had this Stubb’s Sweet Black Pepper Baste, Dip or Marinade Sauce sitting in my pantry so I said I could use it on the corn. My husband loves anything made with pepper..the more the better! 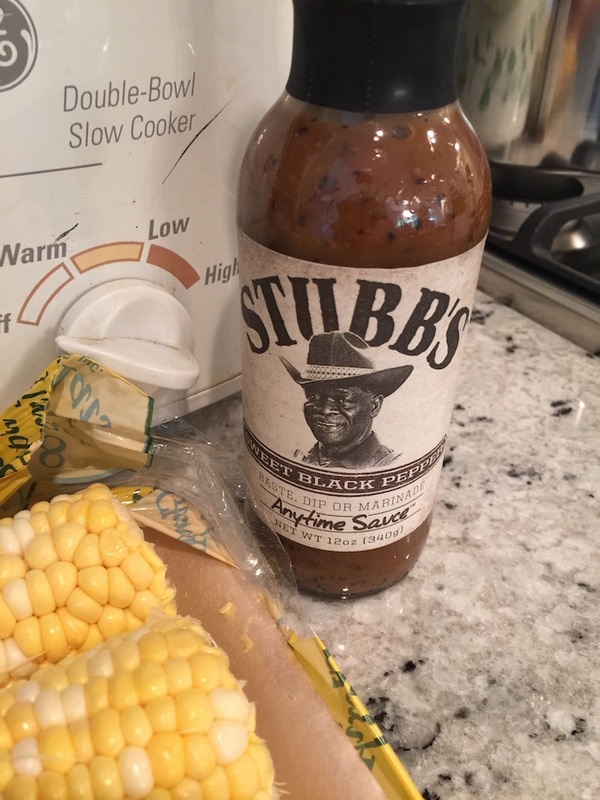 1 Bottle of Stubb’s Sweet Black Pepper Baste, Dip or Marinade Sauce. 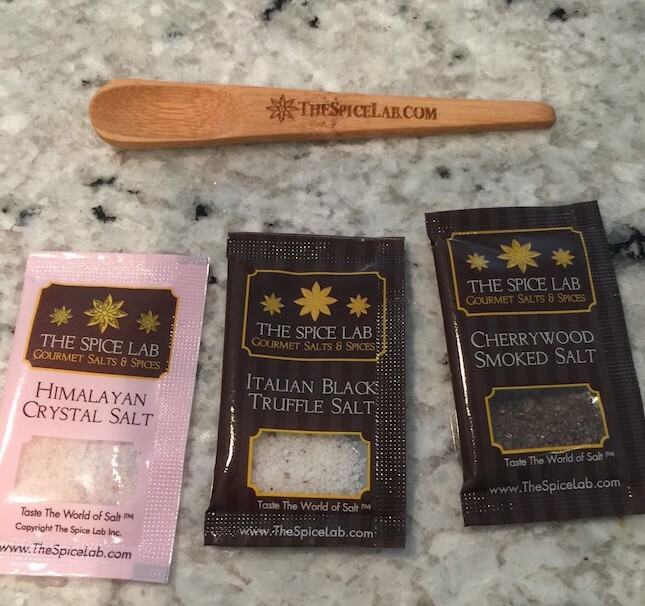 Other spices that you like! (optional) I had some spices from The Spice Lab that I had and decided to add them to some of the ears just in case they were too spicy for me. Foil pieces large enough to wrap the corn on the cob. 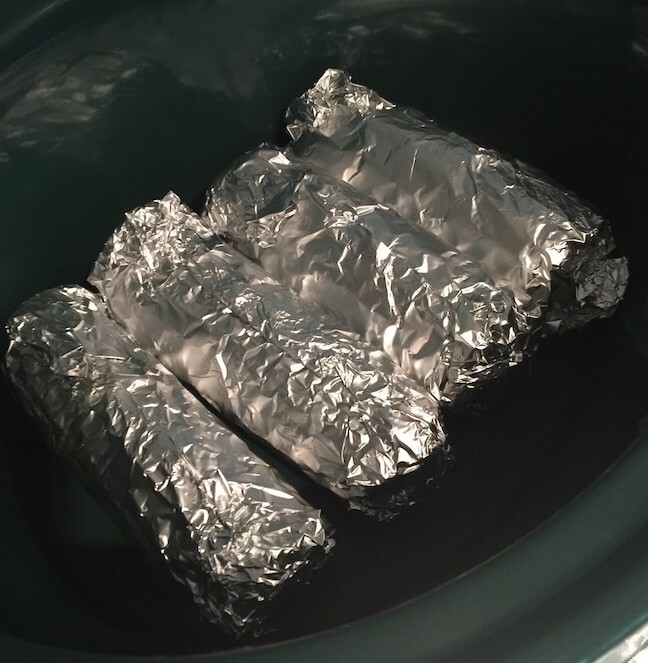 Some people have also done slow cooker corn on the cob without the foil, but I have not tried it that way yet. 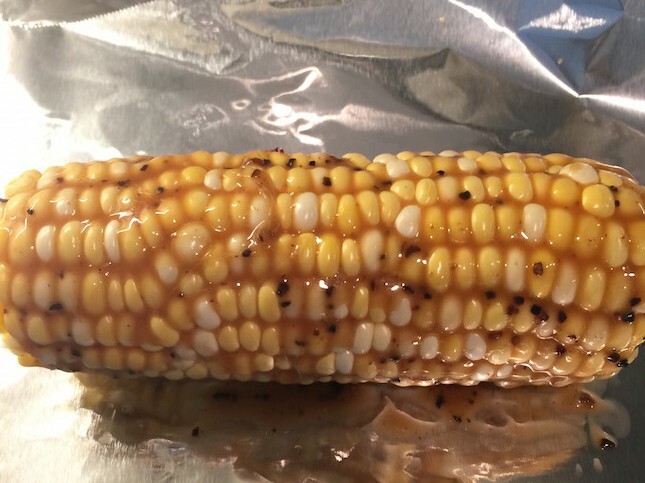 Place your corn on the cob on a piece of foil. 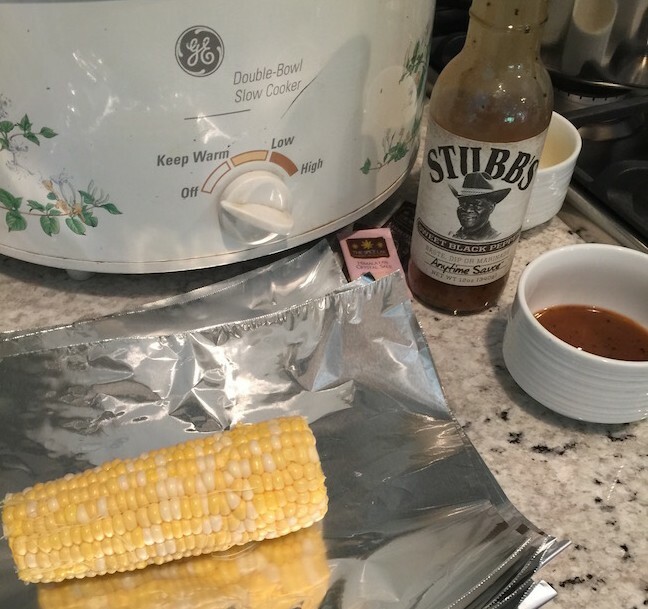 Baste the corn with the Stubb’s Sweet Black Pepper Sauce turning to make sure it’s all covered. 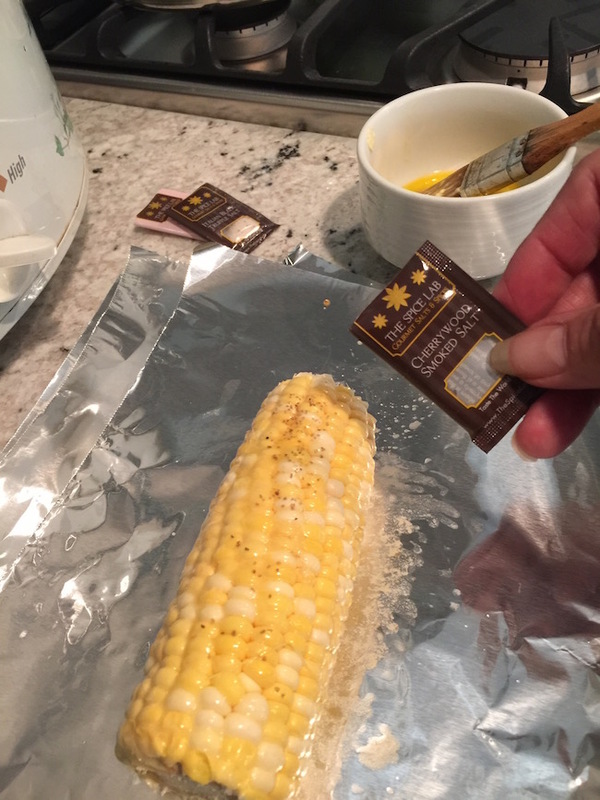 Bring up the two sides of the foil and fold over to seal the corn. Bring up the two ends so that all the ends of the foil are on the top. Place in slow cooker with the folded over parts facing up. Repeat with the rest. I did four ears with the Stubb’s Sweet Black Pepper Sauce and used The Spice Lab spices on the other three pieces leaving one with just butter. I melted butter and brushed it on the ears of corn and sprinkled a different type of seasoning on each one. 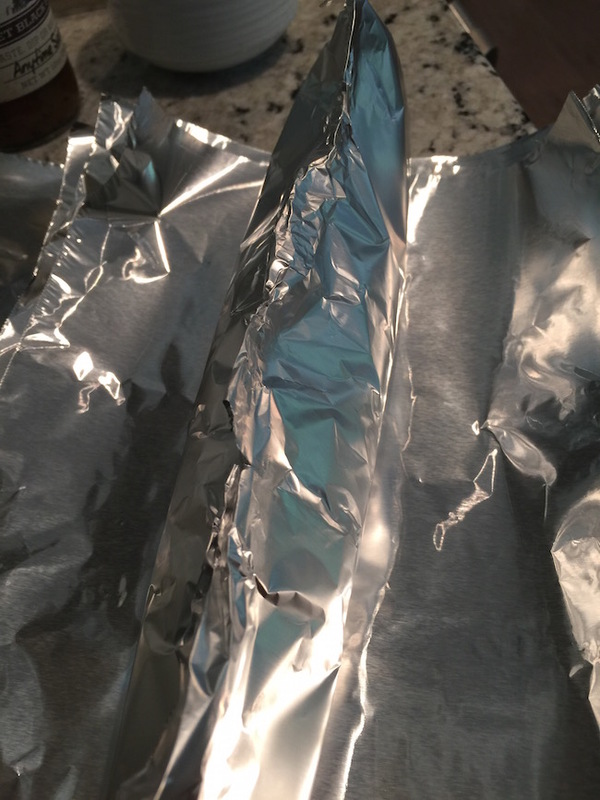 I brought the foil up and sealed them just like I did the others. Place in slow cooker. DO NOT ADD WATER! My slow cooker was full with eight ears so I left it on high for 4 hours. If you only have about four ears then you can place them on high for about 3 hours. You can also do them on low for about 5 – 6 hours but I would check after a certain amount of time because every slow cooker is different. We were gone for a little bit but when we returned, they smelled sooooo good! I always have to tell my husband that it will take longer than it actually does because with the way the house smells, he keeps asking if they are done yet. The corn absorbs the flavors while cooking! The best part about this recipe (besides the taste) is that you can let it cook for most of the day while you are enjoying spending time with family! 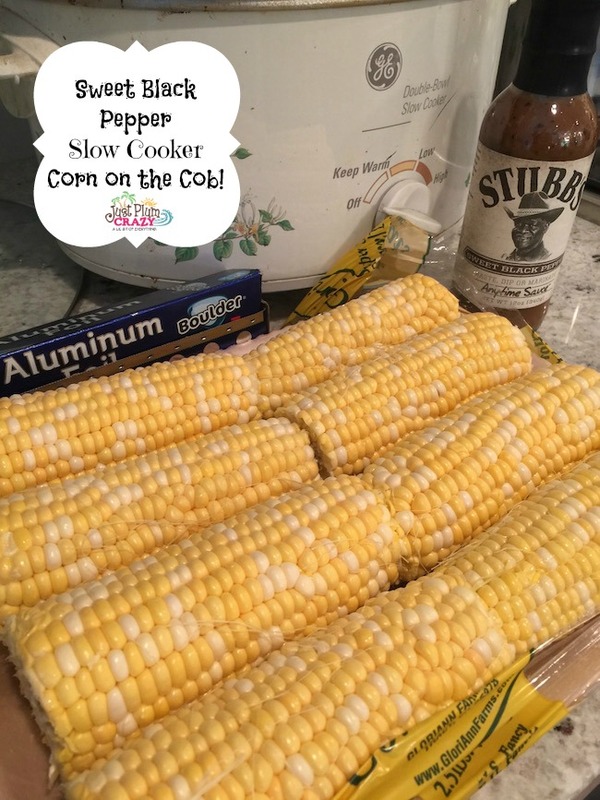 Easy Sweet Black Pepper Slow Cooker Corn on the Cob Recipe! Corn on the Cob - peeled or husked however you say it in your part of the country! 1 Bottle of Stubb's Sweet Black Pepper Baste Dip or Marinade Sauce. Other spices that you like! optional I had some spices from The Spice Lab that I had and decided to add them to some of the ears just in case they were too spicy for me. 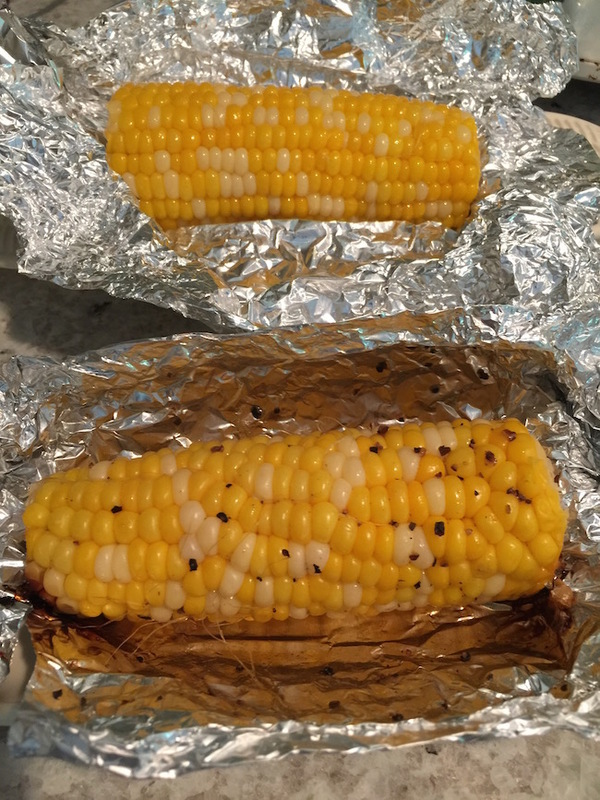 Foil pieces large enough to wrap the corn on the cob. 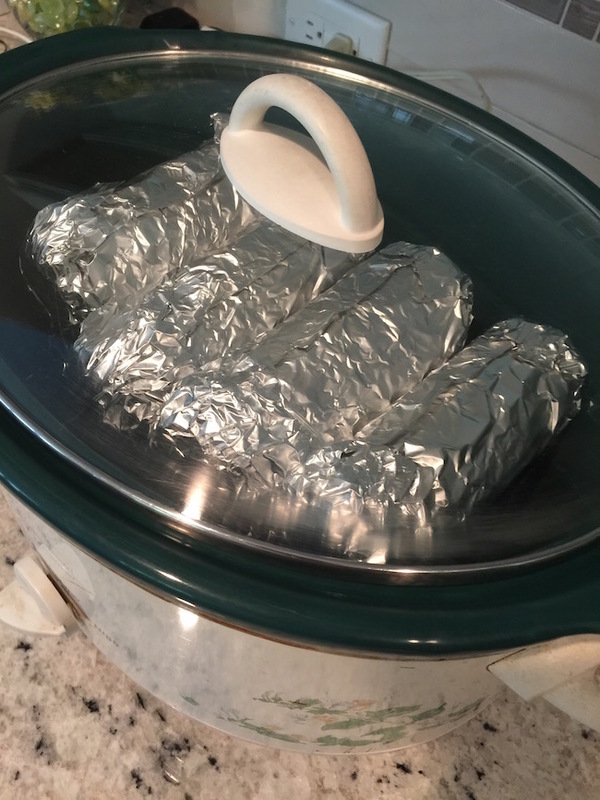 Some people have also done slow cooker corn on the cob without the foil but I have not tried it that way yet. Baste the corn with the Stubb's Sweet Black Pepper Sauce turning to make sure it's all covered. I did four ears with the Stubb's Sweet Black Pepper Sauce and used The Spice Lab spices on the other three pieces leaving one with just butter. My slow cooker was full with eight ears so I left it on high for 4 hours. If you only have about four ears then you can place them on high for about 3 hours. You can also do them on low for about 5 - 6 hours but I would check after a certain amount of time because every slow cooker is different.